Sewer lines under the Twin Cities streets remove your home’s waste water quickly and effortlessly… when they work properly. Once a home develops sewer problems, the chances of having future problems increase dramatically. Ryan Plumbing can help. We offer a complete range of sewer clearing, sewer cleaning and sewer unclogging solutions for homes and business. Our services range from video inspections and Hydro Jetting to complete sewer replacement. 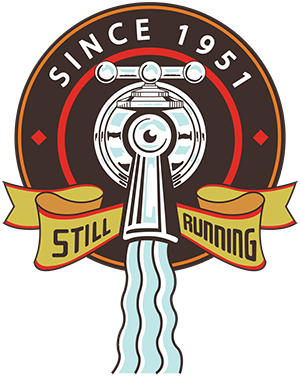 Ryan Plumbing can get your life back to normal and eliminate future sewer problems. If your sewer line has backed up more than once in a single year, you should consider having us take a look and solve the issue before a major backup complicates your life. 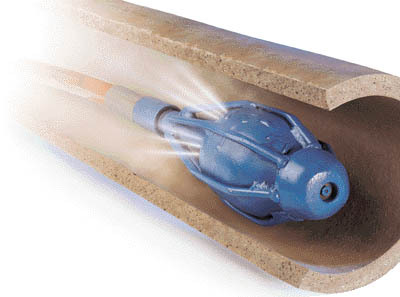 Sewer snaking or Hydro Jetting is required when your entire home or building is backed up. Twin Cities homes and businesses are susceptible to sewer backups, no matter how new or well designed they may be. Ryan Plumbing has cleaned sewer lines of brand new homes that have severe sewer blockages from simple construction debris that was never cleaned properly. Sewer lines can be blocked by any number of objects and Ryan Plumbing has seen and cleared them all. Baby wipes, cleaning rags, feminine hygiene products, children’s toys, prophylactics — any of these clumped together can cause havoc to a sewer line. 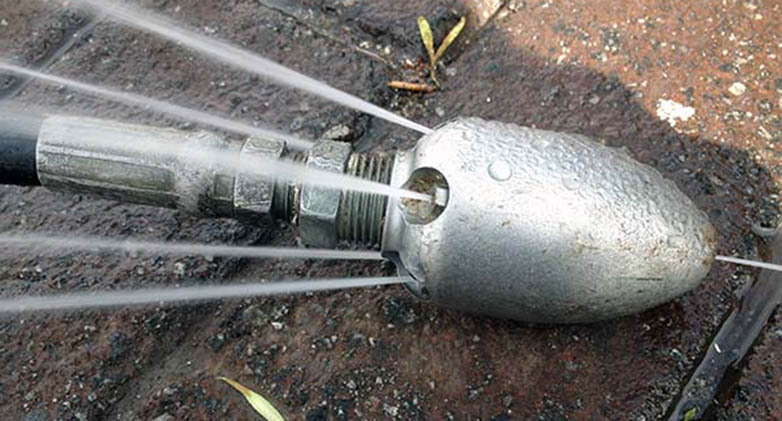 Hydro Jetting is a high-pressure water system that flushes and cleans your pipes. It removes grease, sand, debris, and other buildup that occurs frequently in drain and sewer lines. This increases the efficiency and flow of your lines. In older city homes with aging sewer systems, trees roots are the biggest threat. The big beautiful trees in the older Twin Cities neighborhoods have large root systems and once they find a crack in a sewer line, they quickly tap in. Settling foundations or faulty construction can ‘shear’ a sewer line. A sheared sewer line is literally cut in half and unfortunately must be replaced. Ryan Plumbing has it’s own heavy equipment and can replace the sewer line with minimal or no damage to your yard or property. With our video inspection equipment we can see and locate the problem. This allows us to target what needs to be replaced without disrupting areas that don’t need repair. Clearing and cleaning a sewer line can require heavy sewer snaking equipment, hydro jetting and video inspection. Ryan Plumbing uses high gauge cable and cutting heads to completely clear out to the city sewer line, sometimes well over 100 feet. If the clog is not cleared all the way to the city sewer, a larger problem can occur. Even if you are not experiencing sewer complications, preventative sewer maintenance can greatly decrease potentially large sewer issues in the future. A video inspection of a drain or sewer line can quickly and efficiently identify problems and pinpoint the section that needs repair or replacement. • Cracked, Broken or Collapsed Pipe Damaged pipes requiring repair or replacement. • Offset Pipe Pipes that have moved out of place due to shifting soil, frozen ground, settling, etc. • Blockage Grease buildup or object is constricting or blocking proper flow and/or cleaning of the line. • Corrosion The pipe has deteriorated and/or broken and is restricting water flow. • Sunken Pipe A section of the pipe has sunk due to ground or soil conditions, creating a low spot that collects paper and waste. • Leaking Joints The seals between pipes have broken, allowing water to escape. • Root Infiltration Tree or shrub roots have invaded the sewer line, preventing normal cleaning or damage to the pipe. Restaurants, food service businesses, hotels, schools and hospitals experience recurring build up in interior and exterior sewer lines. This build up can lead to chronic flooding & property damage issues, resulting in interruption of services & business. Ryan Plumbing can evaluate your needs and design a specific 90 day, semi annual or annual Preventive Maintenance Program to protect your valuable investment, ensure health department compliance and prevent loss of revenue as a result of expensive closures. Ryan Plumbing offers a complete range of sewer cleaning options for our Twin Cities customers. Call us today and we can find the right solution for you.